Italian labels: ADN (Milano), AlgaMarghen (Milano), Artetetra (Milano/Potenza Picena), Blume Editions (Milano/Ambon), CANTI MAGNETICI (Torino – Taranto – Lecce), Die Schachtel (Milano), ELICA (Ivrea), ERRATUM (Milano), Garino edizioni (Torino), Holidays Records (Milano), HUNDEBISS RECORDS (Milano/Vernasca), INTERVALLO (Milano), Pampsychia (Bergamo/Milano), senufo editions (Monza), Urashima (Milano), Vida Loca Records (Milano), VOLUM E BOOTLEG (Milano), WE INSIST! Records (Monza). Marta De Pascalis is an italian composer living and working in Berlin. Her solo works employ analog synthesis and tape loops, incorporating free playing into steady, repetitive patterns. She has produced two albums of Berlin School minimal synth excursions: the self-released Quitratue (2014) and Anzar (The Tapeworm, 2016). Her new piece ‘Her Core’ has been published on spring 2018 by The Wormhole. Marta creates densely layered collages of glowing melodic shards and growling bass lines, her hypnotic minimal synth figures warp and whir around each other before dissolving into entropic oblivion. For her compositions she uses improvisation on a tape-loop system, in which patterns of repetition create a sense of a dense, dynamic and cathartic distance. Furtherset‘s music and live performances are an open invitation to immerse oneself into weightless states of mind. As a representative of the “Italian New Wave”, his approach to musical aesthetics is both demanding and pleasing: the depth and beauty unveil themselves only to those who listen closely. Furtherset was a participant of the 2015 Red Bull Music Academy in Paris and has played some of Italy’s most renowned festivals. HØJDE was created in March 2016 by Julien Dewaele (Rennes), after several years of research and experimentation. HØJDE is the translation into Danish of the word altitude, a relationship to height gain, retreat, which makes sense in view of the experiences transcribed in these compositions. The merging of piano and electronics offers an original approach to the use of the instrument. They energize human emotions with a certain melancholy. A soothing music, comforting, bewitching to see inhabited. Like a story which is never told twice in the same way, paradoxical compositions are articulated around a precise atmosphere but leave a real space for improvisation, for letting go. The HØJDE project takes you through ambient, downtempo, electro atmospheres; the piano is at the center of the improvisations and narrates musical stories, without words. HØJDE is recipient of the 2018 Montreux Jazz Talent Awards Solo Keys. Johann Merrich/electronicgirls. Composer and researcher in the field of electronic music, Johann Merrich has been involved in experimentation music since 2000. She has worked as a soloist and ensemble producing works for contemporary dance and theatre. Her music has been in the line-up of events such as Festival Santarcangelo (Imbosco, 2018), Fabbrica Europa (2018), Biennale d’Arte di Venezia (Padiglione Francia, 2017), Venice International Performance Art Week (2016), and has been performed in Italy and abroad in theaters and art galleries. Since 2010 she has been artistic director of the independent label electronicgirls.org and has published two volumes dedicated to the history of electronic music (Le pioniere della musica elettronica, Auditorium Edizioni, Milan 2012; Brief history of electronic music and its protagonists, Arcana Edizioni, Rome. In the printing phase). Alessandra Novaga is a guitarist primarily involved in new music, composition, improvisation and performance. She often works with theatre, in particular, collaborating with Elena Russo Arman of Teatro dell’Elfo. She has played in festivals such as Angelica, Donaueschinger Musiktage (DE), Himera Festivaali (FN), All Frontiers, Festival dei Due Mondi, and has presented her projects in Europe and the United States. 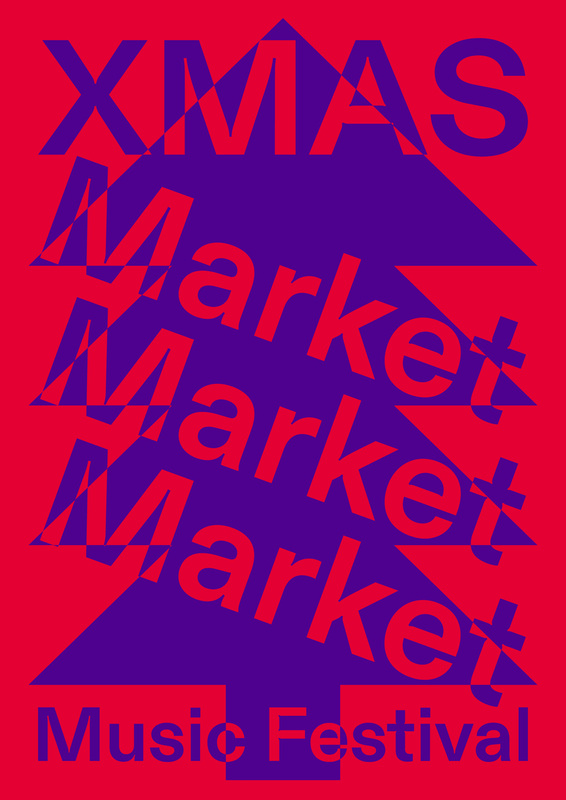 Among other spaces, Area Sismica, Cafè OTO (London), Quiet Cue (Berlin), O‘ and Standards (Milan), and in New York: St. Mark’s Church, Silent Barn, Spectrum, Zebulon and Transient Series. She is the first and only guitarist in Italy to play the complete „The Book of Heads“ by John Zorn. She often plays solo but her past and current collaborations include artists such as Elliott Sharp, Stefano Pilia, Andrea Centazzo, Massimo Falascone, Gianni Mimmo, Sandro Mussida, Patrizia Oliva. As a solo artist she has published the following albums Movimenti Lunari (Blume), La Chambre des jeux sonores and Fassbinder Wunderkammer (Pig’s bristle). Ous is a new label based in Zurich and Milano for wonderfully crafted, electronic music ranging from electronica, over bass-infected beats and deconstructed techno to experimental pop. The first infectious release came from Swiss veteran producer Bit-Tuner in December 2015. The new year will bring the vicious debut LP by IOKOI, an album by tortuous electronic producer FELDERMELDER and a delirious 7”-series with works by SENKING, Hirsch&Eigner. Pandour. After experiences DJing, Luc Bersier and Michael Francey have pushed their sound exploration a bit further through production. They have integrated another dimension to their live performances: the Fribourg based band expands as they add two guitars to their line-up. With this addition, namely Adrien Clot and Simon Mozer, the equation is complete and Pandour was created. In April 2016, they will release their highly anticipated first EP Ursa Minor (Cheptel Records): beats inspired by Deep House, are enriched with elements of Gnawa music, Jazz, Kraut and Afro funk for an enchanting result that will get you dancing. The beat has always been the defining element in the life of Julian Sartorius. Born in Thun (Switzerland), he began his first drum lessons at the age of five. With his rhythms pushing the boundaries of new music, hip-hop and a unique form of abstract electronica, Sartorius reveals the endless possibilities and range of his instruments. He often prepares his drums, works with unusual, unprocessed acoustic sounds and develops, beat by beat, an unheard environment of sound. Jennifer Veillerobe is a French-German sound artist. She is part of Eselsohr duo along with Giuseppe Lelasi with whom she co-curates the label Senufo.